There are only a few soldering stations that cater to the need of hobbyists, electronics technicians and people working on delicate electrical connections. The common expectation from these group of people is a soldering tool that provides flexibility for adjusting the temperature, and the result of soldering should be very precise leaving no damage to the component being soldered. WLC100 from Weller is one of such brilliantly designed solder stations. 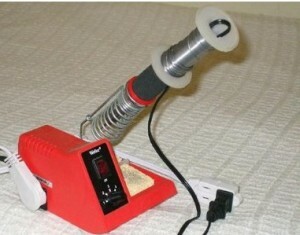 We decided to do a review post about this hugely popular solder station – WLC100 by Weller. What impressed us straight away in this soldering unit is its elegant design and very handy, lightweight solder pencil which has a cushioned foam grip to provide you a firm grip. 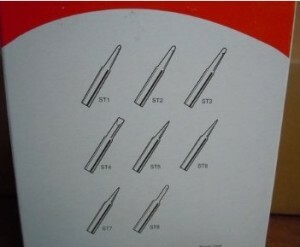 The heating element on the solder pencil can be replaced so that this iron can be used for a long time. An excellent grip in soldering pencil often results in very precise soldering end results. Another useful feature in this soldering station is, it provides you the flexibility of adjusting the power according to the job you undertake. You can set the power anywhere between 5Watts to 40Watts which are of great use since each object being soldered requires the different temperature to melt. Great job Weller here in this department. Speaking about the base unit, it has a power ON/OFF indicator which very helpful in situations when you are done with your soldering job and forgot to switch off the unit, an ON/OFF indicator can save you from damages. This soldering station comes along with an ST3 iron-plated 1/8-inch screwdriver tip. What’s good here is you can easily get additional compatible ST series tips from Amazon to perform a variety of soldering jobs. Note that Weller soldering tips are made of solid copper, plated with iron, nickel, nd chromium resulting in better protection against corrosion and solder creep. Tips are also pre-tinned with tin and lead solder. Weller maintains high standards when it comes to safety and this soldering station is no exception to that. WLC100 solder station has been tested to meet safety standards and you don’t have to worry about that part and the 1 year warranty keeps you worry free. Weller WLC100 scores high marks in various departments making it an ideal choice for electronics applications and hobby soldering projects. An affordable pricing makes this solder station a great pick amongst others out there.